Movie theaters have always been popular with the people of this country. Watching their favorite movie stars on 70 mm screen gives a thrill that’s unmatched to any other entertainment media and the city of Gurugram in no exception to that. 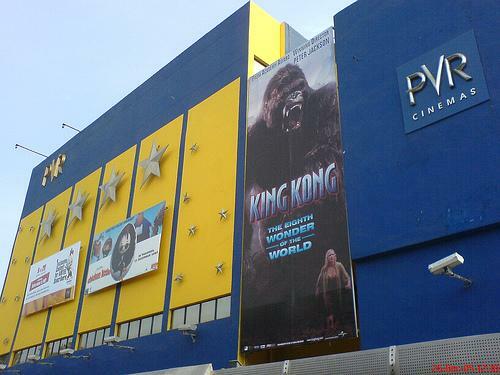 The uber-cool city has some of the best cinema halls in the Delhi-NCR. Gurugram being a rising metropolitan city has many shopping malls and thus it has much to offer when it comes to movie theaters, be it the single screens or the multiplexes. The city’s movie theaters offer all the new and advanced sound as well as 3D technologies.MG Road has a number of multiplexes where you can watch your favorite movie. You can also book your tickets online for most of these cinema halls in Gurugram. It is generally advised to book tickets early as the theaters in the city are almost always booked. The city of New Delhi is the neighboring city and it also has a large number of movie theaters and hence the movie theaters of the city are competitive with the ones in the capital city in terms of facilities. DT Cinemas by the DLF Group, PVR’s and Big Cinemas are among the famous movie theaters of the city along with some of the theaters on the outskirts of New Delhi which are not more than half an hour of a metro ride away.